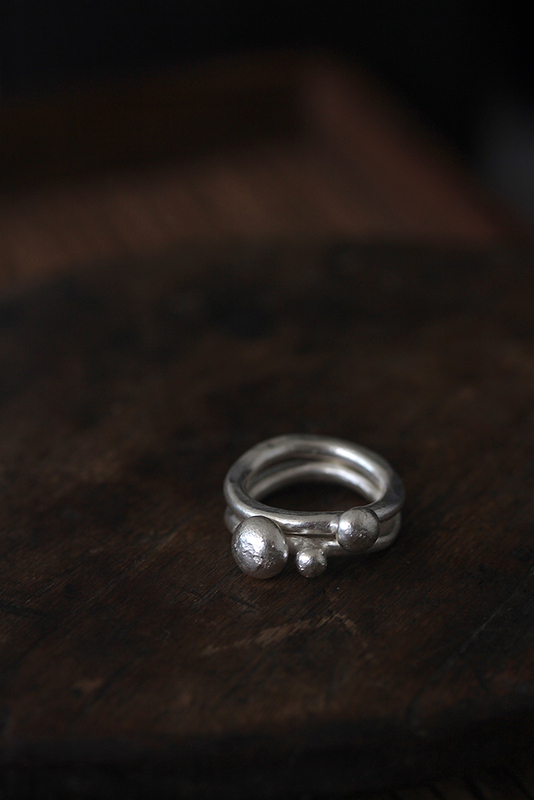 These rings are made of 100% pure silver. 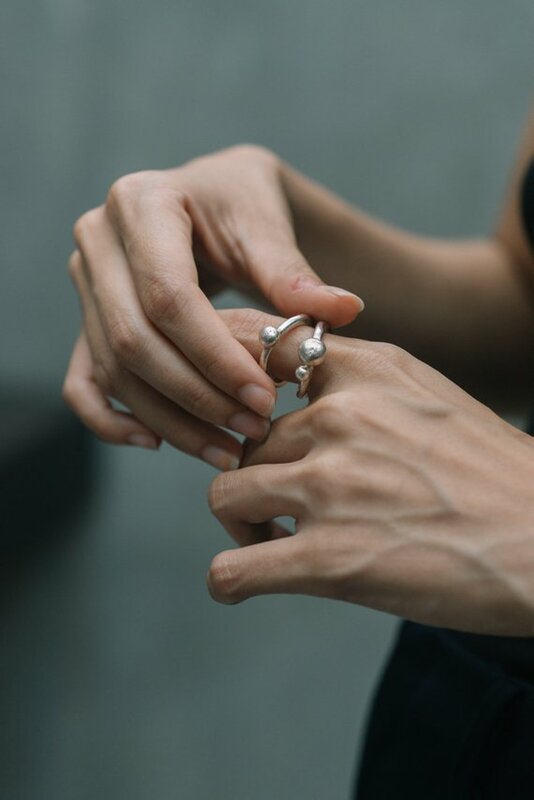 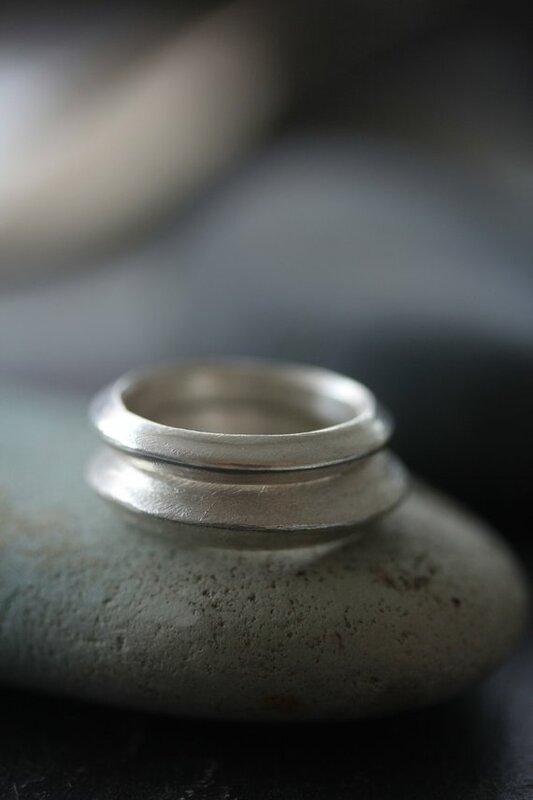 We used round-profile 4mm silver wire to make the shape of the ring, which was then hammered to obtain a more organic, slightly irregular shape and feel. 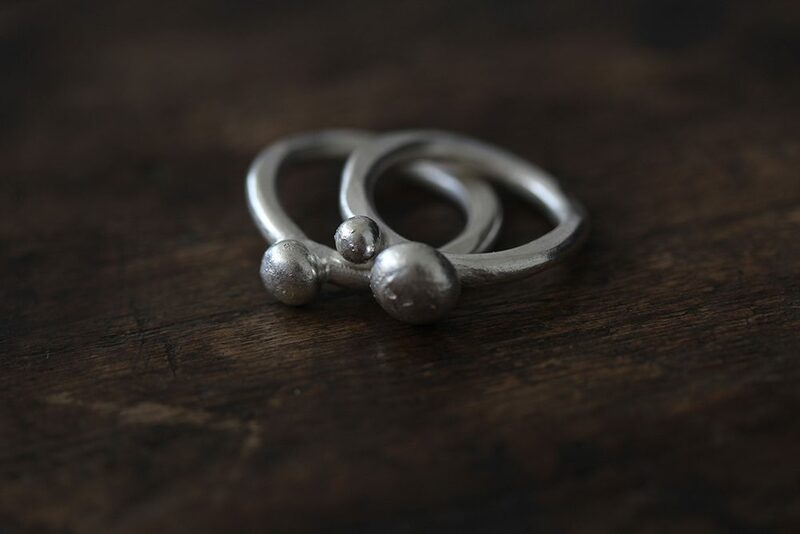 The silver beads attached to the top were made by “spilling” molten silver on the floor – in this way organic, irregular shape beads were obtained, a bit differently each time we make them. 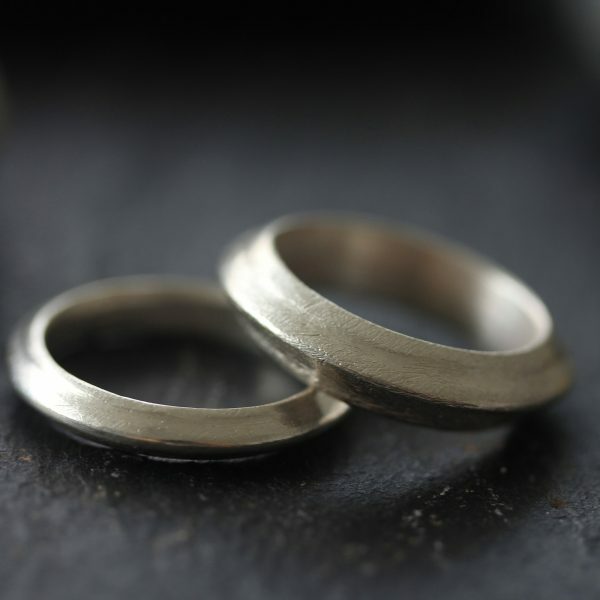 They look beautiful if you wear them separately or both together. 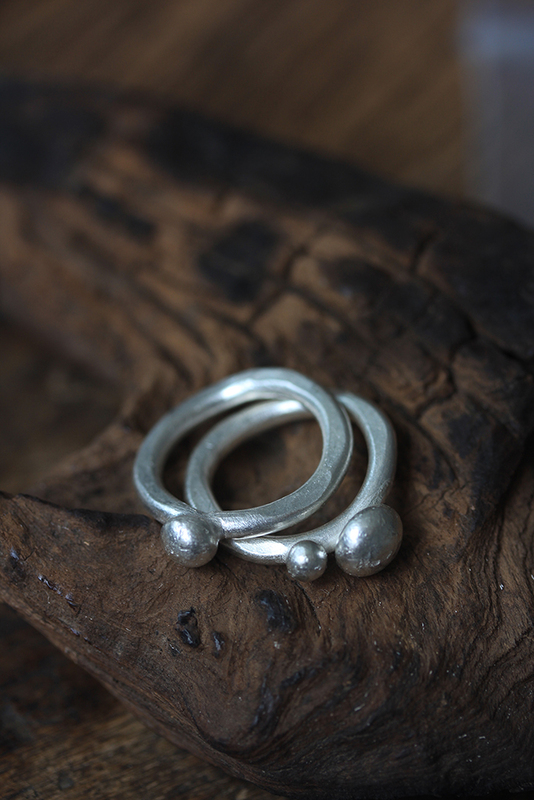 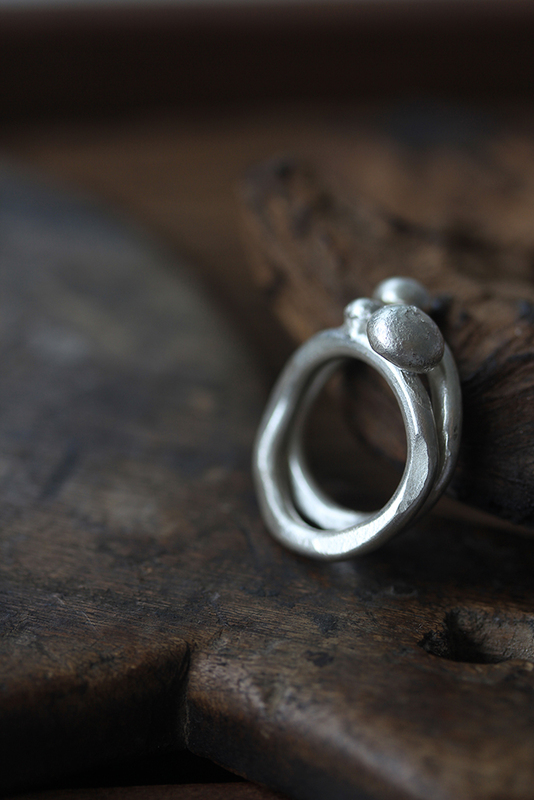 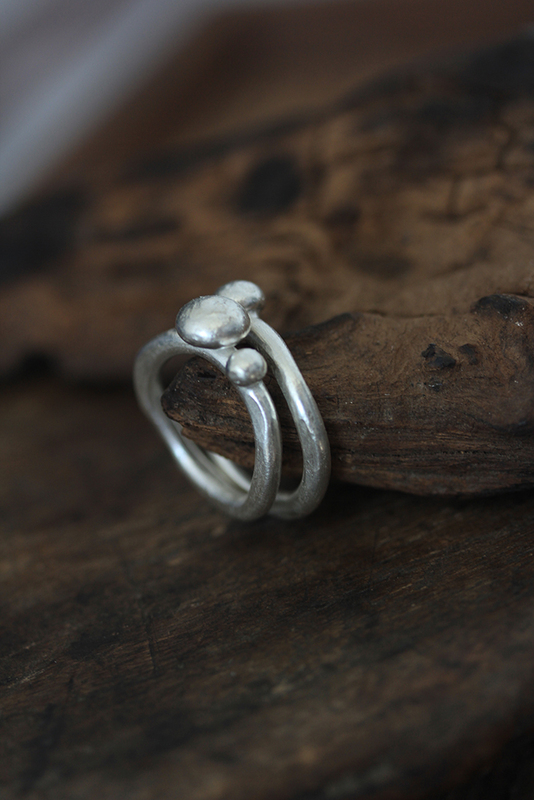 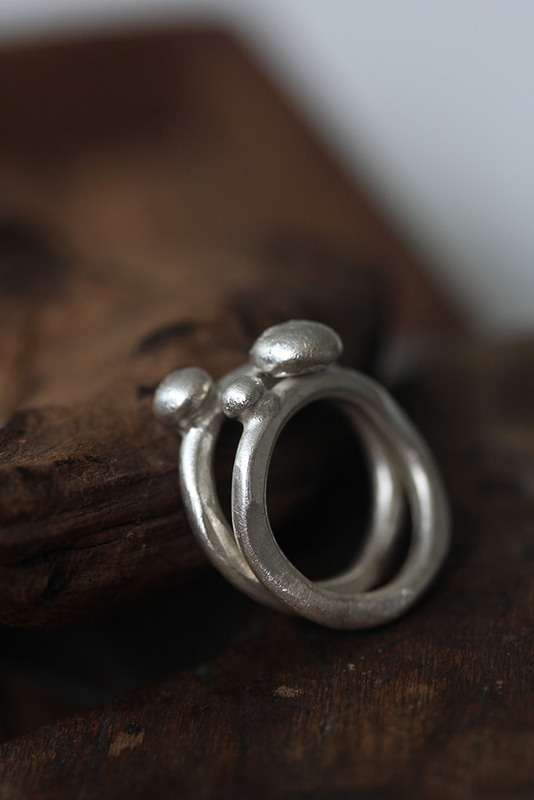 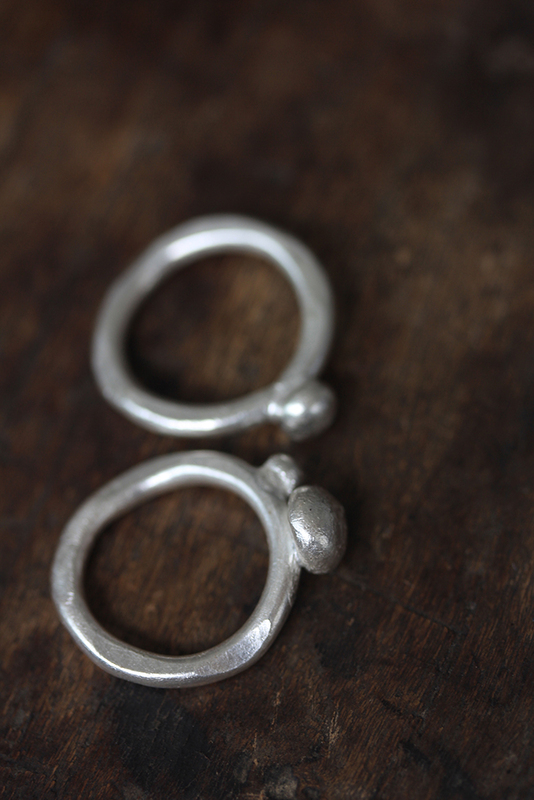 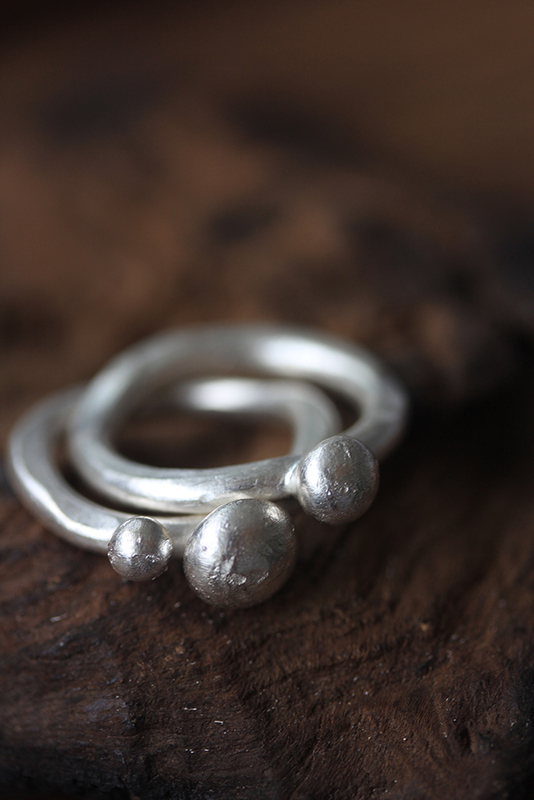 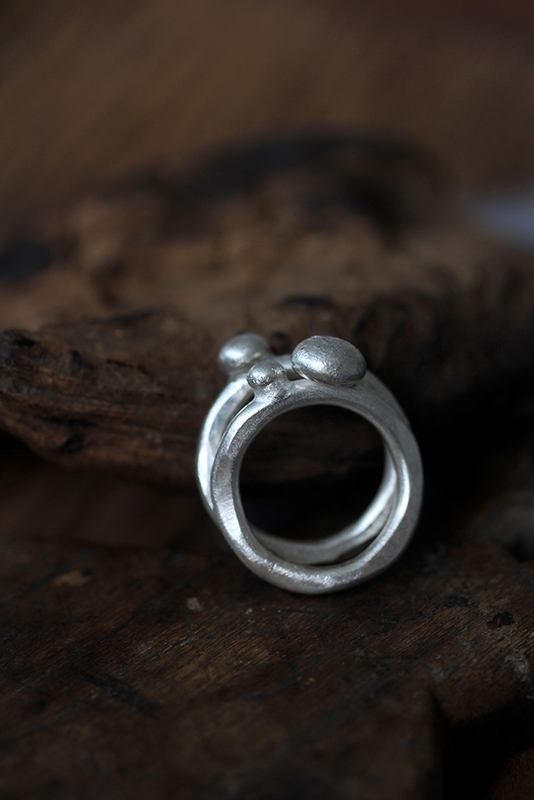 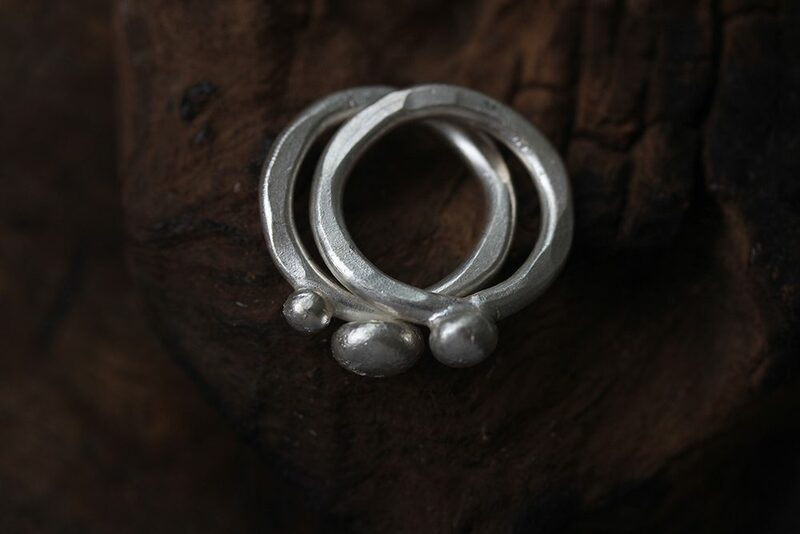 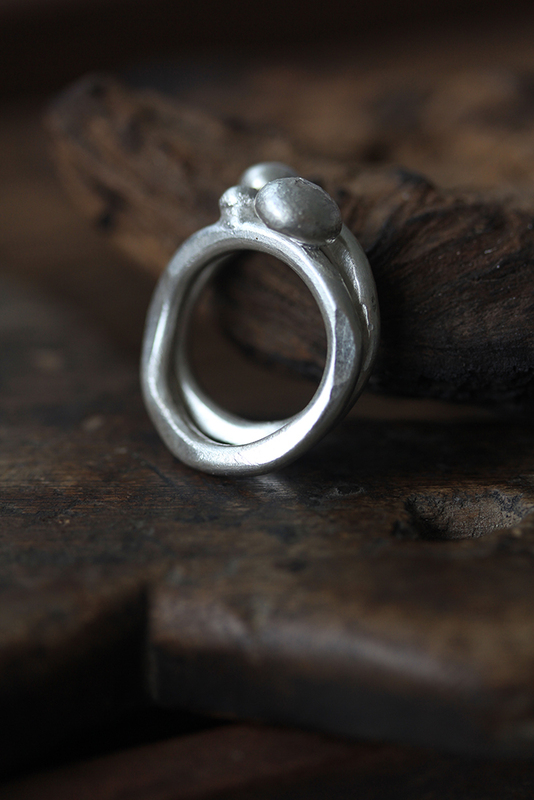 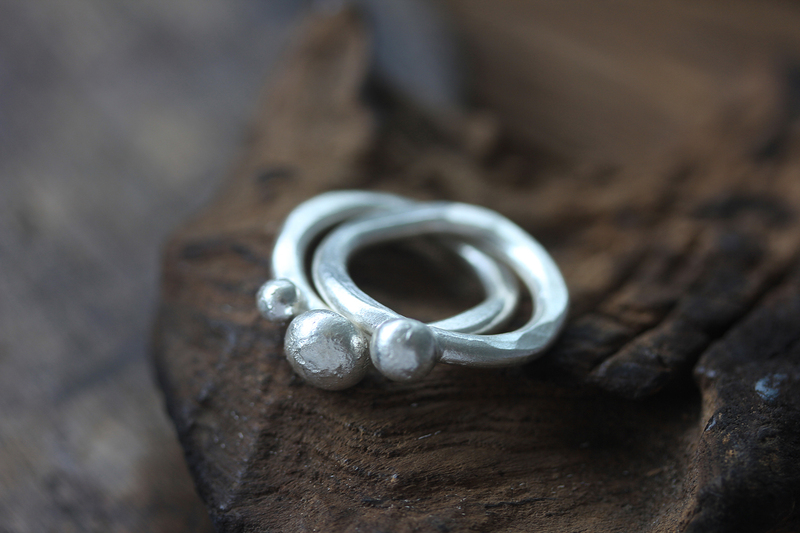 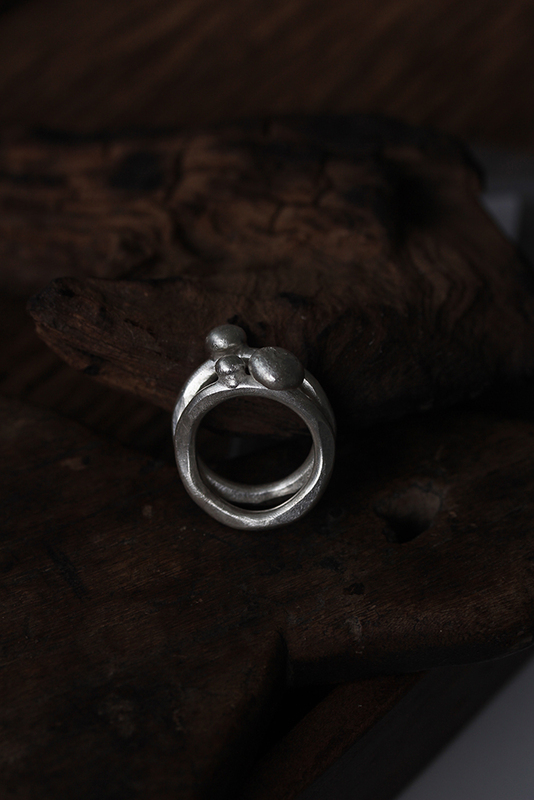 These matching rings are heavy, with a distinct organic, handmade feel.